Social Media Marketing is a process of gaining social Media network or traffic through the social media. You are required to manage and plan your marketing and communication through information and emerging social network like Google, twitter, Facebook and Linkedin. These offer you tools and techniques to harness and understand opportunities for hiring and marketing. You will need to be able to learn simple marketing strategies to increase presence of your company in social media and generate more connections. Social Media Marketing is key to digital marketing strategy marketing. Using your, twitter account registered in the name of company name to be competitive. Spend at least 15 to 30 minutes every day on your twitter handle. Doing research to familiarize yourself with tweet content. Searching for businesses that are competing with you. Write blog content about your entrepreneur services or products. Ensure that content for your blog targets your audience. The blog should feature things that your customers want to know about. If you are using your social media for customer service ensure that you have indicated the time of operation to enable customers have an easy way of communicating with you. Business that write blogs daily generate more traffic compared to those that post weekly. Recent research shows that enterprise with frequent blogs generate five times more traffic. If you have more people that you are following compared to your follower on your twitter. You’d be doing more harm to your social media, because such engines have more trusts with twitter account with more followers. Social Media Marketing to build an online community. Do these by offering gifts asking for comments and prizes. Also appreciate, interactive and give good comments. If you have issues ensure that you have solved them as quickly as possible to prevent damaging your relationship, with customers this may affect your business. 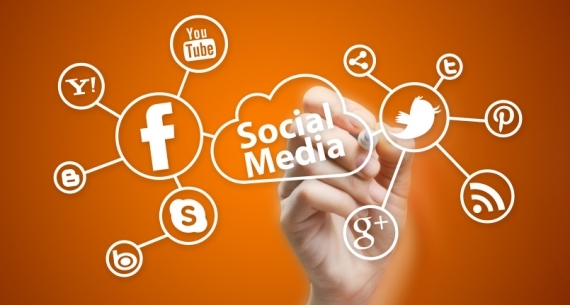 Motivate your consumers with interesting blogs via Social Media Marketing. To make them have more interests in your products or services by Writing interactive blogs, interesting or funny. If you want to get more traffic stops talking about yourself. Boost your SEO social media scientist Dan Zarrella research shows that tweets with self tweets has few comments compared to tweets about the enterprise. Always remember that your Social Media Marketing is just a platform to be used to generate more traffic and not a strategy. It is only a tool you can use for your business to be more competitive. After some time analyses the impact of the social media to see if your marketing strategy works. If this strategy does not function then change it and look for other strategies. Measure the impact of your strategy by comparing it to other similar businesses and the targeted market. If your business is an international business ensures that it covers customers from all around the world. If it is local use goe-location twitter search. Find your key influences on social media by using the social media data and giving up your massaging outline on your media plan. By using the customer’s conversation you can be able to learn more about your competitors and help improve your marketing program. Consider the time of posting to ensure effective audience view. If you’re posting early in the morning make sure that your post is not lost in the mix. Consider posting the time most of your followers are active. You need brands advocates not voice influencers to blog or talk about your products. It is not useful since they are not investing in your products. Advocates offer longevity while influencer make really get you quick buzz. If you request people to like your page makes sure that you have something valuable awaiting them. Give them a good reason why they should like your page. Although the Social Media Marketing is a good platform, Google decided to come up with another alternative in 2011. Google+ a useful and rich social media net Working same as an attempt to solve the compatibility as a rival for Facebook. Creating opportunities and promoting businesses through website creation, visual identity and online marketing.